When you think about it, your knees take a lot on a daily basis – walking, standing, running, jumping, climbing stairs – it's no wonder many adults have knee pain. 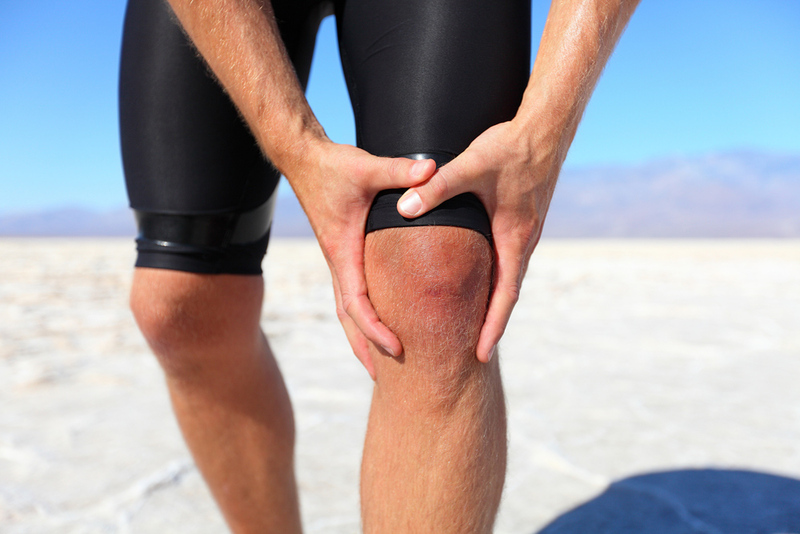 At Binder Chiropractic in Statesville, NC, we often see people with acute and chronic knee pain from injuries. Here's some information about common causes of knee pain. The knee joint is extremely complex. Composed of four bones – the femur, tibia, fibula, and patella – it is supported and held together by an array of tendons, ligaments, and muscles. An injury to any of those structures can cause swelling, pain, inflammation or stiffness. You may have crunching or popping noises or the knee may become unstable. Alternatively, you may not be able to fully bend or straighten the knee. Dislocated knee – a fully dislocated knee is an emergency situation and the knee must be put back into place immediately. However, you may have a mild dislocation, or subluxation, that causes knee pain or limits motion. This can be treated by a chiropractor. Knee bursa – the bursae are small fluid-filled sacs around the joints that act as shock absorbers. They can become inflamed and painful. A chiropractor will typically use heat, cold and ultrasound, as well as special stretching exercises, to help relieve bursitis. Frozen knee – also called locked knee. This occurs when your knee will not straighten completely. It may be due to a ligament tear or bony fragments caught under the kneecap. It can also occur when the kneecap is out of alignment; this often responds to chiropractic adjustment. Sprains and Strains – while these cause acute pain and need time to heal, they may also result in chronic pain if muscles shorten or become weak due to lack of exercise. Adjustments, massage, and ultrasound, as well as corrective exercises, can help resolve these conditions. Tendinitis – an inflammation of the knee tendons is most likely to be caused by overuse. Running, for example, can stress the tendons. Tight tendons are more prone to this kind of irritation. Although rest is important, you must also keep the tendon flexible to prevent long-term disability. The first step in treating knee pain is a thorough assessment of the musculoskeletal system. Sometimes the problem originates elsewhere, as when hip pain on one side makes you bear extra weight on the “good” side. In addition to chiropractic adjustments, Dr. Binder uses laser therapy, spinal decompression, physical therapy and nutritional counseling to help relieve pain and restore your health. Contact Binder Chiropractic in Statesville, NC! If you are suffering from knee pain or other musculoskeletal problems, please contact us. We're located at 414 E Front Street in Statesville, NC, and serve the surrounding area. Call today at 704-873-2831.